As I watched the children’s show called “Super Why” with my grand children, I observed a methodology that is similar to the life of the disciple. 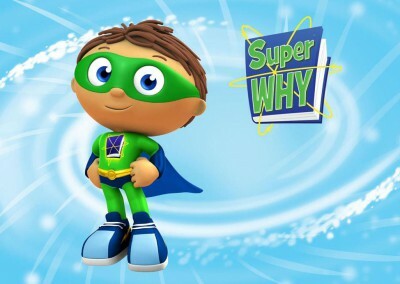 Wyett in Super Why with his team of experts always come to the aid of a troubled character. Listening and understanding the problem, they refer to a book where they find the right word to apply to the root of the problem at hand, the character’s life is changed forever and all is well. Note however; that the character desired and believed that something has to change but has no way of making it happen on its own, with no other option he/she continued miserably doing the same things over and over and over again. Just as Wyett refers to a book to find the right word to apply to the root of problems thereby changing the life of its characters, the Bible is the book we consult to find that right word we can apply to the root of any problem we face in our lives everyday. The word of God has the power to create what is needed and change our lives forever if we believe and are ready for it. A Probing Instrument; Hebrew 4:12 – For the word of God is living and active. Sharper than any double-edged sword, it penetrates even to dividing soul and spirit, joints and marrow, it judges the thoughts and attitudes of the heart. What is your situation today? Do you desire a change and do you believe in the word of God to do what it says it will do?